Access keys around the clock. Keys are securely available any time of day or night – no extra staff required for the pickup or return of keys. Never lose track of keys again. Custody of keys is automatically recorded in the FleetCommander system. You can secure fuel cards too! Consider climate-controlled units. Extreme weather is no problem for our heated and cooled outdoor units. Great for remote locations. Collect odometer, fuel status, and parking location. No extra data entry required! 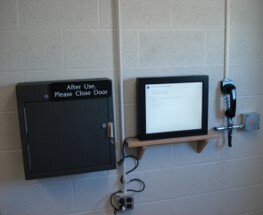 Integrates with your employee RFID badge. This makes the login process even faster and easier! Optimize use of vehicles. You need fewer vehicles when they are shared efficiently using our FleetCommander Motor Pool module. Our key control system is as easy as 1-2-3! Vehicles are reserved by drivers online, or as a Grab-n-Go request right at the kiosk. Requests are approved individually or auto-approved. Driver logs into the kiosk (similar to getting a boarding pass at an airport.) 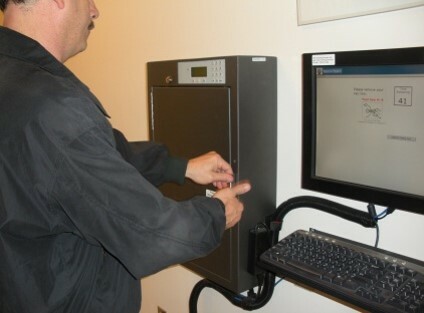 Once logged in via touch screen or badge scanner, the keybox opens and a light next to the authorized key lights up. All other keys remain locked in place. The key can be removed, and the dispatch-out time is recorded in FleetCommander. Driver returns the key to the keybox. The kiosk will prompt drivers for information such as ending mileage, fuel status, parking location, or other data you specify. Many sizes and form factors to meet your motor pool challenges. Individual boxes can be daisy-chained to accommodate more keys. All keys remain locked in place. The only key that is released is the one associated with the reservation. Return any key any time. 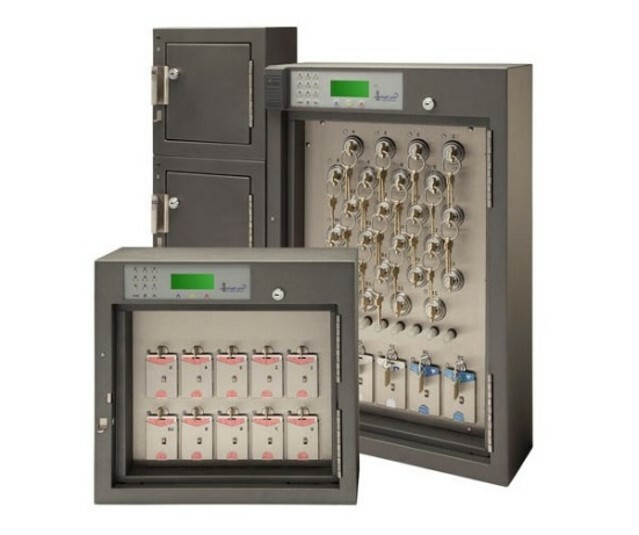 Mail-slot key box secures keys and fuel cards simultaneously. Security measures include required username and password (or badge) to login, must be an authorized user, tamper alarms, tamper-proof key rings, and more. Solid steel doors, clear lexan doors or extended doors are optional. Speak with our motor pool experts to customize options to best meet your needs. Emergency or problem? Admins access keys remotely or on site, any time! No tiny keypads to maneuver! Familiar interface for ease of use. Touch-screen with optional keyboard is just like getting an airport boarding pass. Fully-configurable. Add customized messages, communicate policies, or configure to your fleet's specifications. Use your own PC or laptop. Reduced costs, same efficiency! Optional RFID readers. 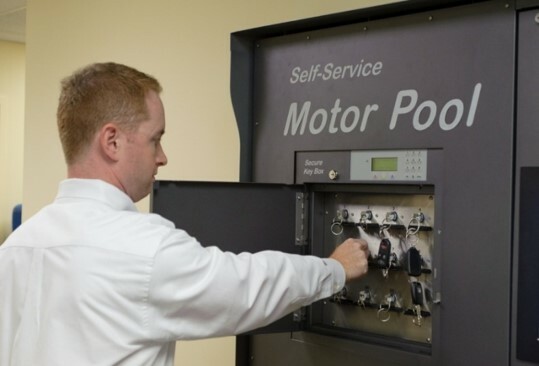 Speak with our motor pool experts to customize and configure options to best meet your needs. "...access to vehicles 24 x 7." Michigan manages 21 motor pool sites across the state. Since 2010, Michigan State employees have used the automated system to share 570 vehicles approximately 76,000 times per year, with a daily average between 200-300 uses. Scott County has saved over $250K in personal vehicle usage reimbursements. Scott County has significantly reduced the cost of personal vehicle usage by requiring the use of a motor pool vehicle rather than personal vehicles. 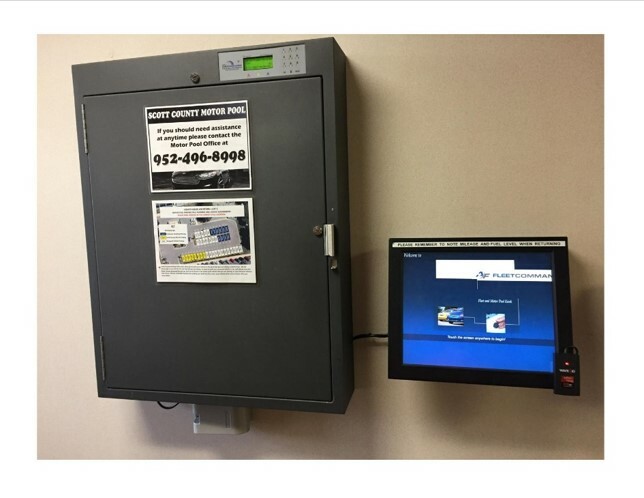 Three of the county's locations are equipped with touch-screen, self-service fleet kiosks, and secure key boxes that distribute and collect keys. Rugged conditions are no problem. 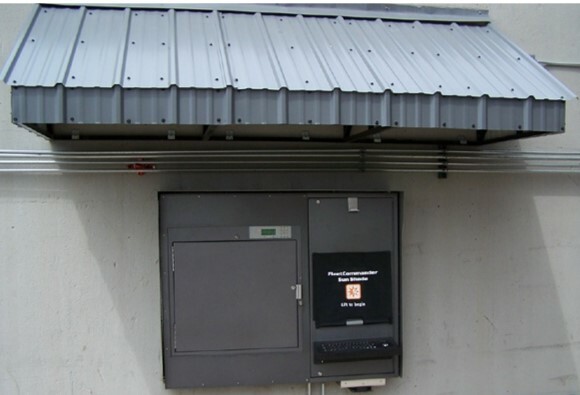 Kiosk screens are protected from the hot sun and extreme temperatures in the State of Colorado. 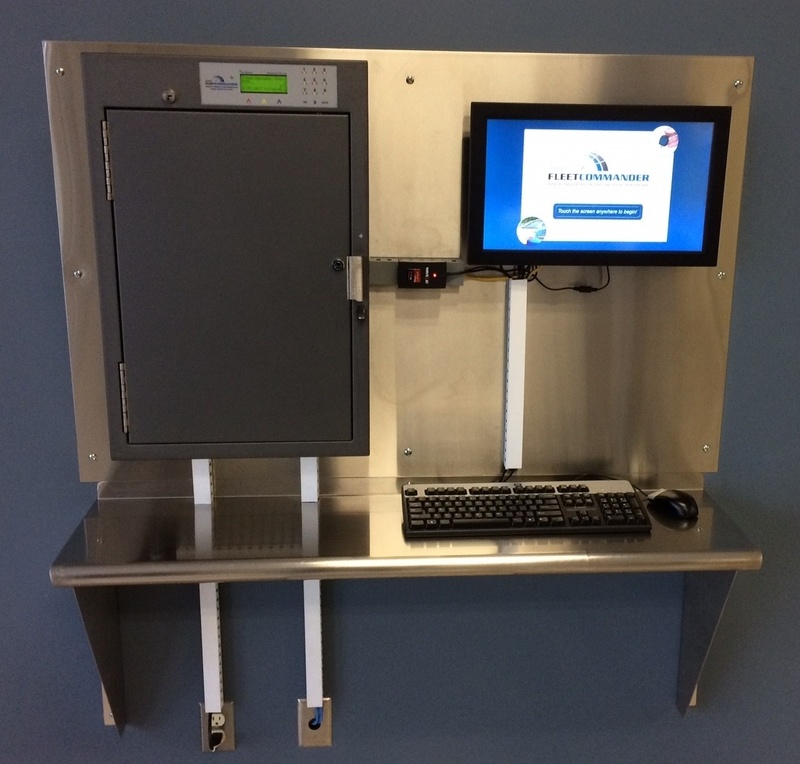 The multiple award- winning City of Boise’s fleet uses an efficient kiosk and key control system that offers ease and convenience to their drivers.